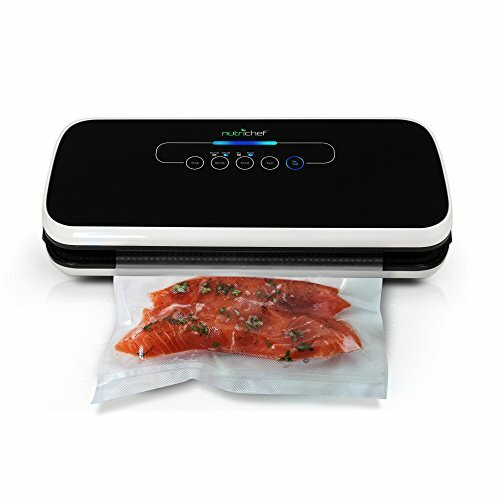 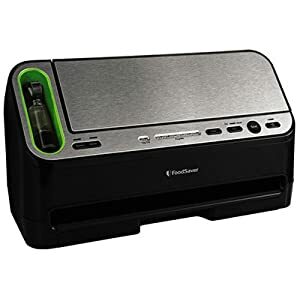 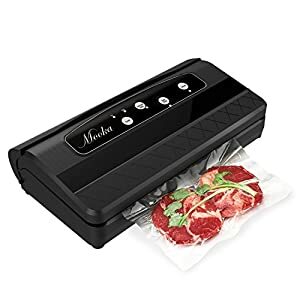 Tags: Automatic Vacuum Sealer, sous vide vacuum sealer, vacuum sealer nutrichef. 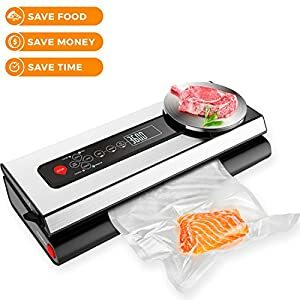 THE IDEAL MONEY AND TIME SAVING SOLUTION: Cooking and meal preparation will become easier, more economical and faster, as you will be able to equip and organize your freezer, with fresh food ready to be defrosted and served or fresh ingredients instead of freezer burned food filled with ice crystals which will probably end up in the trash can. 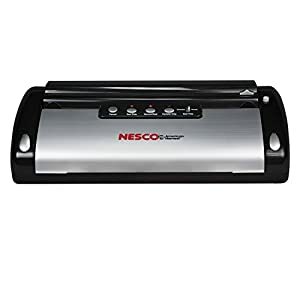 EASY TO OPERATE: Fully automatic simple electric plug in design with the control center placed on the top panel and soft touch digital buttons along with led indicator lights. 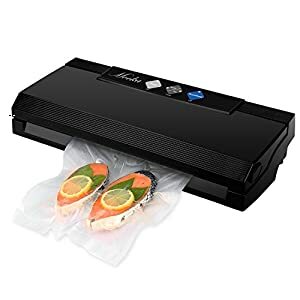 A smart device at your family’s service! 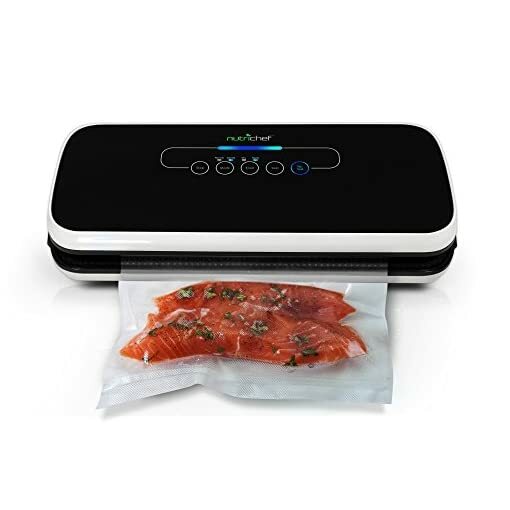 TWO SEALING MODES: Useful and practical, the NutriChef vacuum sealing system is cleverly designed owning two selectable modes to provide your food with the best possible preservation based on the type of food you want to seal. 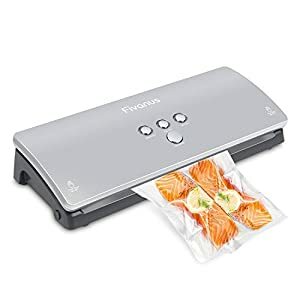 You can choose the dry indication for solid food items and the moist indication for poached, simmered or steamed food. 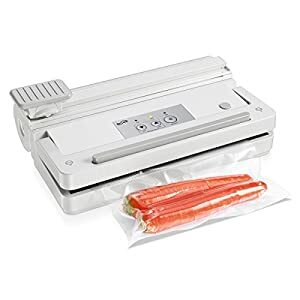 LAB TESTED QUALITY: Vacuum sealers preserve food up to 5 times longer than zipper baggies or containers, basically depending on the type of food. 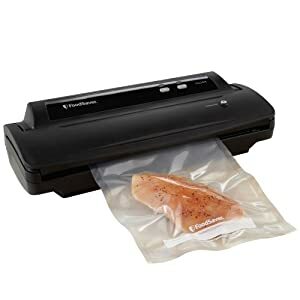 The NutriChef Vacuum Sealer however, was subjected to specific laboratory testing to effectively increase food shelf life. 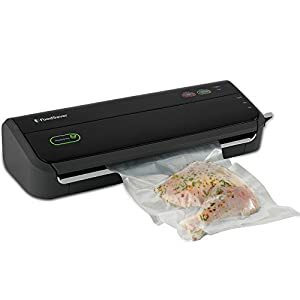 A FULL STARTER KIT: Apart from the vacuum sealer and the air suction hose, the NutriChef vacuum sealer package also includes a wine stopper cork, 5 medium vacuum bags (7.8″ x 11.8″) and one extra long vacuum bag roll (7.8″ x 79.0″), both kinds being reusable and waterproof. 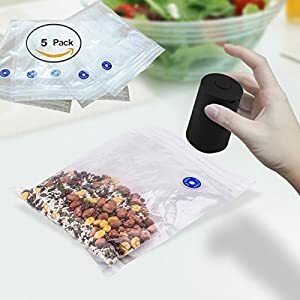 A complete bundle for your new cooking era.